Tax season can make most of us cringe. But, if you’re a homeowner, make certain you meet with experts to see how you may benefit at tax time by owning a home. Minimizing your tax liability is always the goal. Start first by getting all your paperwork together. Hopefully you’ve kept good, clean records of everything pertaining to your home. Remodeling projects can often be deducted, so go through your files and search for the paid invoices. However, repairs to restore items to their original state usually aren’t tax deductible. If you haven’t kept good records, now is the time to start. It’ll pay off in 2015 when it comes time to do your taxes. 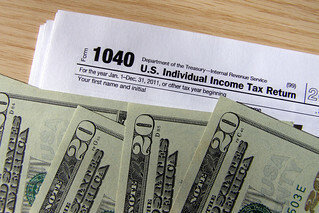 Here are a few tips to get you ready for tax season this year and beyond. Find your property tax statement for the end of the year. Your property taxes paid are deductible for a s long as you won the home. This is another tax savings that you’ll be able to record on your Federal form. Property taxes are taken as an itemized expense.